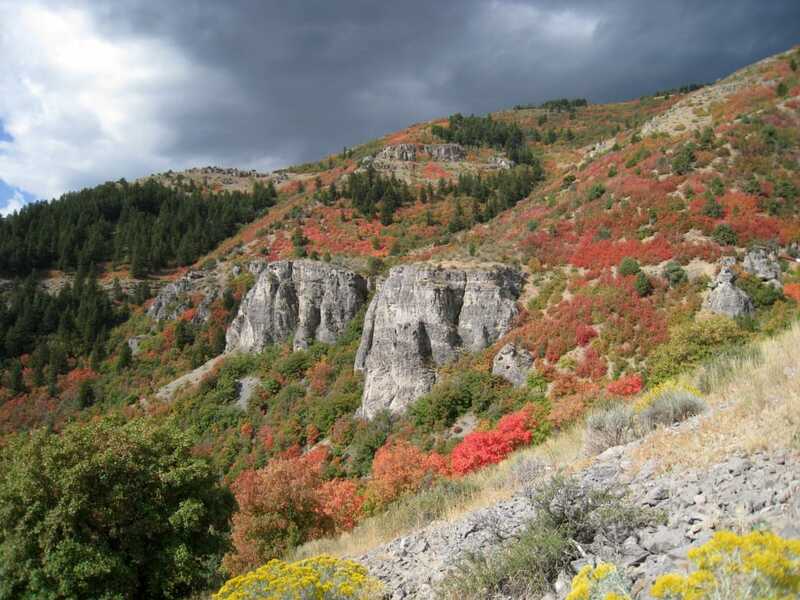 Until the mid-1800s, Logan Canyon largely lay quiet—save the sounds of its rushing river, rambling streams, chirping birds, and roaming herbivores snacking on berry bushes and aspen leaves. This is because, other than early Shoshone tribes and a handful of hardy fur-trappers in the early 1800s, few humans saw the canyon for themselves. Its impenetrable thickets, fast-moving water, and rocky terrain made it both tricky and dangerous to navigate the canyon on foot or by horse. Its natural wonders remained largely untouched. It was when Mormon settlers needed an untapped source of lumber in the mid-1800s that they finally set about building a road into Logan Canyon. Build they did, and by the next century, the canyon had morphed from a sawmill site to recreational mecca. 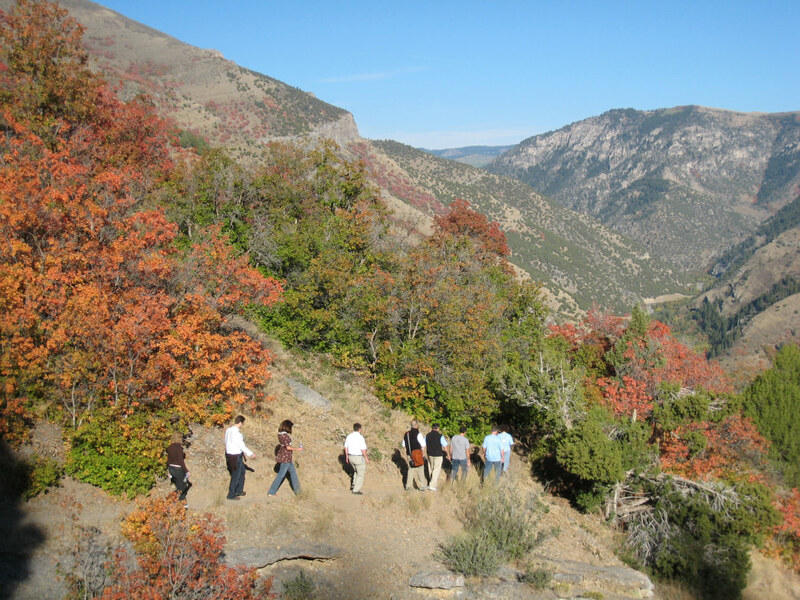 The more the residents discovered Logan Canyon, the more they spent time there—particularly when lower-lying towns simmered in Utah’s summer heat. A 1927 Forest Service report stated that more than 79,000 cars had passed through the canyon that summer. Word about Logan Canyon had officially gotten out. You can’t blame the last century’s picnickers, skiers, and hikers. They were on to a great thing—as are today’s visitors. One of the best things about the canyon, besides its good looks, is that it offers a recreational option for everyone, of every age and fitness level. Year-round, the canyon also offers plenty of variety in scenery and terrain. In its lower reaches near the town of Logan, the temps are hotter and hikers will find dry grass, sun-drenched rocks, and scrub brush. But as visitors work their way higher up the canyon, the scenery is dotted with mountain wildflowers, aspens, and the occasional moose. So whether you’re in for a mellow family hike in the foothills or a big day exploring the alpine backcountry, there’s something for you. Hiking is one thing just about everyone can enjoy to some extent or another, and fortunately you’ll find plenty of it in this canyon. A family favorite lies in the lower part of the canyon—a two-mile trek to the Wind Caves reveals a fascinating series of wind-eroded caverns at the top. 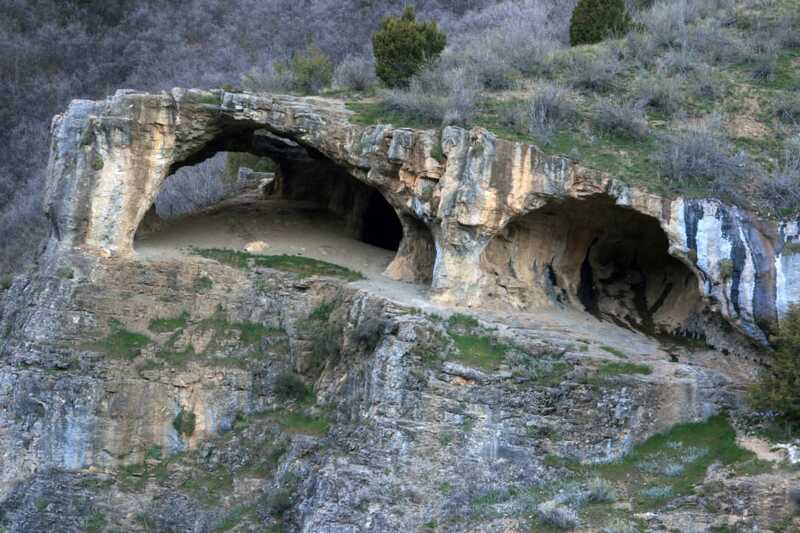 The caves’ dramatic rock archways capture the imagination of kids and adults alike. If you’d like to see the canyon’s more high-altitude hikes, head on up to Tony Grove, where an entire network of hiking trails awaits. 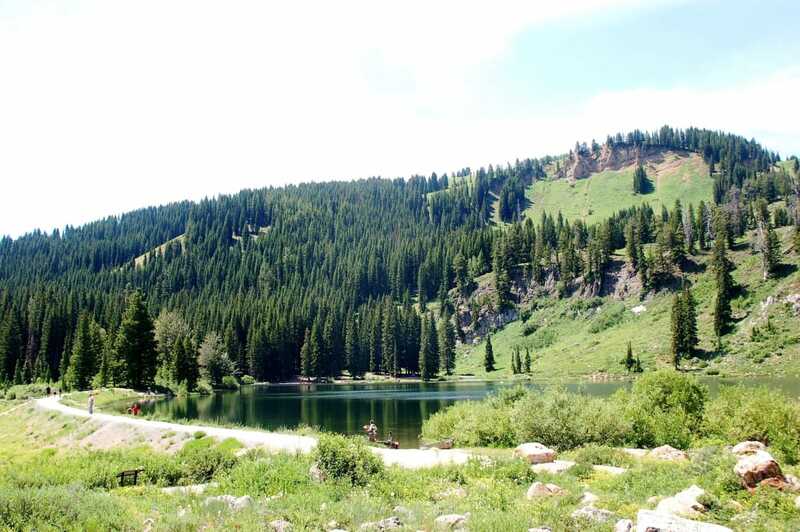 Starting from Tony Grove Lake (a worthy destination in and of itself), you can ascend the beautiful Naomi Peak, amble over to White Pine Lake, or ramble around Coldwater Spring. For climbers, the rock here is interesting and challenging—and most routes are stoutly rated, too tough for beginners but perfect for intermediate and advanced climbers to test their mettle. The China Wall is one of the most famous—known for its steepness and difficulty. You have to be a darn solid expert to jump on this wall’s routes, most of which hover around the 5.11-5.13 range. But trust us, if you’re not good enough to try ’em, you can still get sweaty palms just scoping out the routes from the ground. Camping spots are plentiful throughout the canyon—you can pick a lower-lying campground for convenience, or drive farther up to get a nice cool mountain night. Check out Spring Hollow Campground, Tony Grove Campground, or the Lodge Campground. The higher up you go, the colder the temps drop. If you’re a fly-fishing enthusiast, be sure to bring your gear. Logan River’s a blue-ribbon trout stream that’s known as one of the best in the region. For easy fishing, check out the stocked lower dams in the canyon. Or, head up-canyon for an untamed river with clear, pristine water prime for the trout-catching. 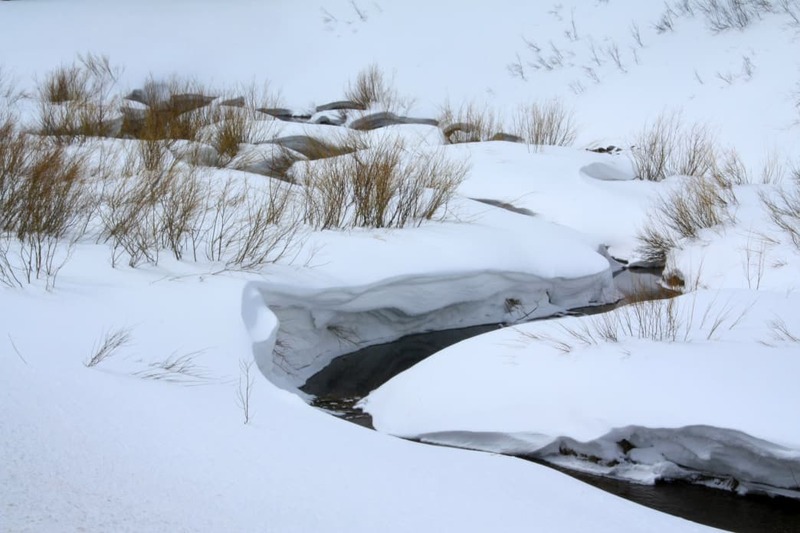 When the summer months wind down, skiing’s just around the corner, with Beaver Mountain and its backcountry environs covered in top-quality Utah powder. A small-town ski hill, Beaver doesn’t get too much traffic compared to many other Western resorts—particularly on the expert terrain. It’s easy to duck off through the trees or traverse out to a nice black-diamond run and enjoy untouched snow stashes days after a storm. In addition to skiing and snowboarding, snowmobiling has become a popular winter activity as well. Logan is ranked the top snowmobiling destination in the state, and it features more than 300 miles of trails to explore. Stay overnight at the Beaver Creek Lodge and you can wake up in the morning, rent your vehicles, and hop right on the trails. Even if all you have time to do is drive this historical, adventure-packed 43-mile mountain road, Logan Canyon is well worth taking in. But if you’re able, really settle in with some local guidebooks and maps and get to know the place. There’s nothing quite like it.